I think i might have been the last to hear about this, but its been a mixed crowd so far that i found heard about it, so i’m posting anyways. 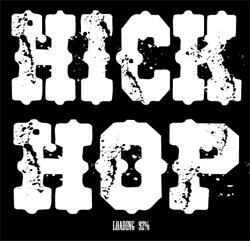 HICK-hop. 6’5” african american guy who mixes rap-country-rock. Toured with Tim McGraw, has writeups in BBC, USA Today, NPR, and loads more… changing the way you hear music… second most downloaded today on itunes apparently on its 3rd day? (according to sd’s 94.9 that i caught on the drive down today). Some hate it, some love it. But it’s one of those cultural medleys you just have to try out, regardless. So go give “i play chicken with the train” a listen… and see what you make of Cowboy Troy. It’s a trip. interesting. like those ipod ads? also…not entirely related. i don’t know if i mentioned it to you, but in atlanta, i saw a number of vehicles plastered with confederate flags and such “whimsical” bumper stickers as “certified redneck”.